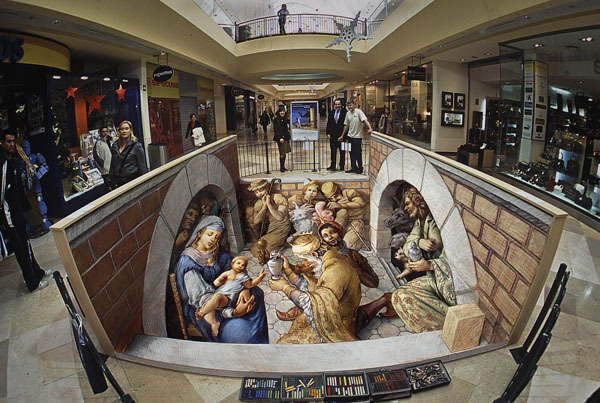 The nativity theme is a favorite christmas subject for pavement artists. I did two of them during my first years in Rome. 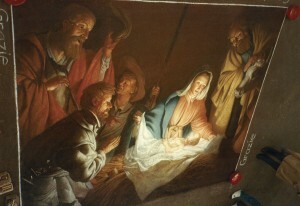 The first was a copy from Tiepolo and the second from Honthorst. When 3D pavement art became popular I designed my own nativity composition. I executed this composition twice, the first time in the Xanadu commercial center in Madrid, and the second time in Perth, Australia. 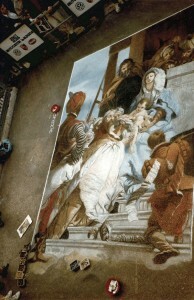 The Perth version was filmed as a time-lapse video.